Garmin, well known for its sturdy tracking devices has been the go-to choice for many professionals, and now to keep up with the current trend, it has come up with a new Heart-Rate (HR) monitoring device called the Vivosmart HR. We’ll discuss its features and how it performs in real life, but before we begin here is a short introduction to what is Vivosmart HR. I have previously written about the first VivoSmart, VivoFit and the smartwatch VivoActive. Well, Vivosmart HR is a heart-rate based fitness tracker. It tracks your steps, heart rate, and on the basis of this data, it calculates your calories burned as well as distance covered. Check out my article about why it is important to understand your pulse and heart rate while training. Above are the most basic functions of any fitness band, while this activity tracker is capable of achieving a lot more. As there is a ‘smart’ in Vivosmart, it can do the cool stuff like show notifications from your smartphone, control music as you do your workout, and more. Let us delve deep into its design and features now. The fitness tracker has a rectangular form factor commonly found in fitness bands, however, it is not the best looking smart band out there. But that is not a problem, as its solid performance and price give it a competitive edge over others. It comes in three dark colors on the band which is black, imperial purple and midnight blue. Placed in the $150 price bracket, comparisons will be made between Vivosmart HR vs Fitbit, and the former is a worthy competitor. The band is soft and comfortable and has the familiar watch-styled strapping mechanism. The band comes in two sizes – regular and x-large, so it should fit on any wrist. Moreover, the band is comfortable enough for being worn 24/7 and it great for running. The display is monochromatic (single color), but it is clear even under direct sun and it is touchscreen enabled. On the back of the display is Garmin’s own optical heart-rate monitor. It protrudes a little but surprisingly rests comfortably on your wrist. The back is also where Garmin’s proprietary charger fits. It has only a single physical button on the front which takes you to settings and then back. The Vivosmart is equipped with three main sensors. First, the accelerometer which allows for counting your steps and distance. Second, is the barometric altimeter which measures the floors climbed; this new feature is actually quite handy, and third the all-day optical HR monitor for keeping track of your heartbeats. Great fitness tracker for running. Based on these three sensors, the fitness band smartly calculates calories burned during the day. One of the small features that help you stay motivated is its hourly inactivity reminders you find in many of Garmin’s wearables. If you have been inactive for a period of 1 hour, the band vibrates to let you know that you should take a short walk. I personally love this feature, as sitting still for too long, which many modern office workers for instance do, is not good for the metabolism. Based on your daily activity, the fitness gadget sets goals for the next day, allowing you to get the right amount of exercise every day. It has a few smart features up its sleeves to notify you about the incoming texts, calls, emails and other app notifications. Text notifications are actually helpful – you can scroll to read an entire notification unlike the Polar A360, which truncated much of the message. It can also control music on your phone and your VIBR action camera. Garmin claims that its battery will last about 5 days, which is pretty close in actual usage. The battery should last with continuous heart rate monitoring and everyday workout tracking. It is important to note that the Vivosmart HR is made to track only running activity unlike, other fitness bands which track many other types of activities as well. But it still makes sense to buy one as running is the most frequently done activity and this device is very accurate at tracking it. Here is the official product commercial called ‘Garmin vívosmart HR: Wear That’. Enjoy. A fitness band’s tracking capabilities won’t be of much worth without logging and subsequent presentation. Vivosmart does the syncing part just fine, but not before a small update to resolve a syncing problem. You’ll need to connect the band to your computer for updating. The device connects with its Garmin Connect app available for all three popular mobile platforms; iOS, Android, and Windows mobile. You can also view your data on the web on Garmin’s online community. Garmin Connect provides tracking, analysis and sharing capabilities on its app platform. While the app is robust for its tracking capabilities, the interface is a little confusing. If you are trying to locate a specific feature, it would take some time to track down that feature. Most product reviews have acknowledged the software as complex. It is not possible to change the band on this activity tracker, and there are few other accessories to be bought which fit it. Compatible products are limited to new charging cables and AC power adapters. You can also buy IQ screen protectors that extend the lifespan of the display. The Garmin Vivosmart HR is an accurate tracker. Despite lacking a GPS sensor, the distance calculated by the accelerometer comes really close. Another plus is with the sleep tracker. The software asks you about your regular sleeping interval to track your sleep and then automatically detect inactivity during the given timeframe. Other fitness trackers try to do this automatically and fail when they wrongly record sleep while you have actually left your band behind for a shower. Heart-rate based training is an efficient way to plan your training. Having a sensor to measure your heart is great, but it is only half of the story. To make the most of it, you’ll need the knowledge to use those statistics in an effective training plan. This activity tracker makes it a little easy for you by measuring your progress against the recommended goals set by health organizations such as the American Heart Association, U.S. Centers for Disease Control and Prevention and the World Health Organization. Keeping up with these recommendations means a good cardiovascular health. One of the drawbacks of this band is that it tracks only running activity as stated above in this article. The wristband also cannot be paired with an external heart rate sensor and this is a real drawback as its optical sensor is not always reliable. One more drawback is that it lacks GPS, but its accurate accelerometer covers up the drawback. Check out the Microsoft Band 2 or my Fitbit Charge HR for other cool fitness gadgets. To wrap it up, I believe that the Vivosmart HR is a great fitness tracking smart band. Despite its flaws like an outdated design, monochromatic display and occasionally spotty HR monitor, the smart band does a pretty good job in tracking, usability, and robustness. Priced at $150, it definitely provides value for the money you spend. Where Can I Buy Vivosmart HR? Click the Buy now buttons to check the latest price. It might be a sale. If you are in or close to the USA click the top link to check recent price and additional info. If you are in or close to the United Kingdom, click the bottom link. Don’t keep questions or concerns to yourself! Leave them in the comment section below for help. 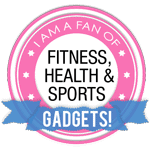 Hope you enjoyed my Garmin Vivosmart HR review. Interface 1.00 x 0.42 inch (25.3 mm x 10.7 mm), 160 x 68 pixel monochrome touchscreen. Negative mode display. I have to say that I just scanned this article. Here is why… I am very new to the fitness thing, and I am not sure that I am totally sold on the need for a fitness tracker like this. Do you use one? Will you tell me why they are so important for the newbie like me? Can you try your best to “sell” me on the idea. I need some help. I think that you are the one that can help me. Can you also recommend daily exercises with out weights and with just a sit up bench, that will take me from slim to tone with a six pack, chest and biceps that are not “over the top”?? So while you say the band is soft, is made from a rubber material, plastic, or cloth? I find that I cannot wear watches for great lengths of time because they begin to irritate my skin especially if I get them wet. Since this would be a very expensive item, more than what I normally spend on watches, I wonder if there would be any skin irritation or if that would only come from buying something cheap. This would be something awesome to add to my fitness equipment, but I just don’t like the idea of having to wear it all the time. The material of the band is a type of medium soft silicone. It feels like more than rubber than plastic. I’m afraid I’m unable to find the exact composition and what the material is made of. It doesn’t say in the manual or on Garmin’s web page. If you are worried about rashes there are other alternatives which might suit you better. For instance is the Jawbone UP24 is made of a hypoallergenic rubber which has a low chance of irritating the skin. Jawbone’s newest wearable, UP3, is encased in medical-grade, hypoallergenic rubber as well. I know that Fitbit struggled a bit with people getting a rash when wearing their problems a while back. It is always a good advice to prevent allergic reactions and rashes to take fitness tracker bands of in the shower etc and keep your skin as dry as possible. I am looking into a Fitbit, but is this better? Both are kind of pricey for me, but the Fitbit does have the app that it syncs with. This device looks pretty nice, but I am not sure if it is better than if I bought a Fitbit. Good question. Fitbit has a wide range of products from simple pedometers to smart watches. I wrote an article about them a while back. Fitbit’s equivalent to the Garmin Vivosmart HR is the Fitbit Charge HR. It’s about the same price but it’s not waterproof as the Vivosmart. Both have heart rate monitors and a monochrome display. It’s a difficult choice … Have you seen the Microsoft Band 2 which is pretty cool? Or the stylish Polar A360? I was looking for some information about tracking devices, and I was confused because there were so many sites. Then I found yours. I have to say that the article is helpful and informative with many details like features or technical specifications. Next time when I look for other devices, I will come to your sites first. Can you please advise if the band contains any Latex materials? I see you have the materials listed as Silicon though I have an allergy to Latex and have broken out in the pattern of the brand where I’ve placed it on both of my wrists. Hi! I have tried to find out exactly the composition of the materials in Vivosmart bands and if it contains latex, but I have not been successful. I can’t find any accurate information in the manual either. Google searches show that many people have allergic reactions to some fitness trackers bands. Sorry, I can’t provide you with more help.